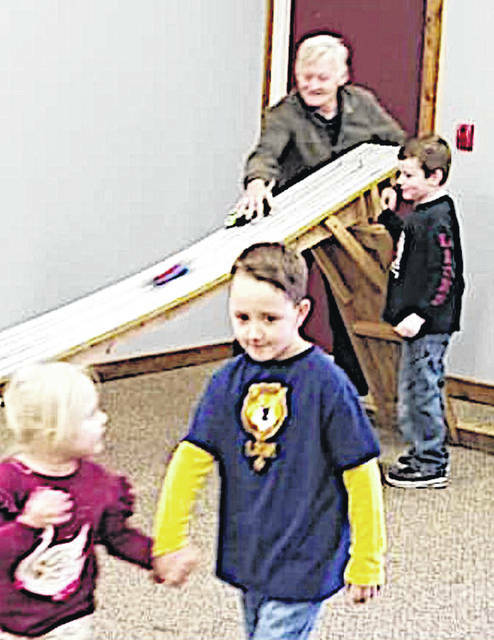 Members of Leesburg Cub Scout Pack 453 had a good turnout for their Pinewood Derby in spite of recent weather. The scouts showed great sportsmanship, cheering during sibling and adult races. Afterward they enjoyed a meal of coneys, chips and drinks followed by group cleanup. Special thanks to Highland County Firemen’s Association for use of their annex building and chartering the Scouts another year. 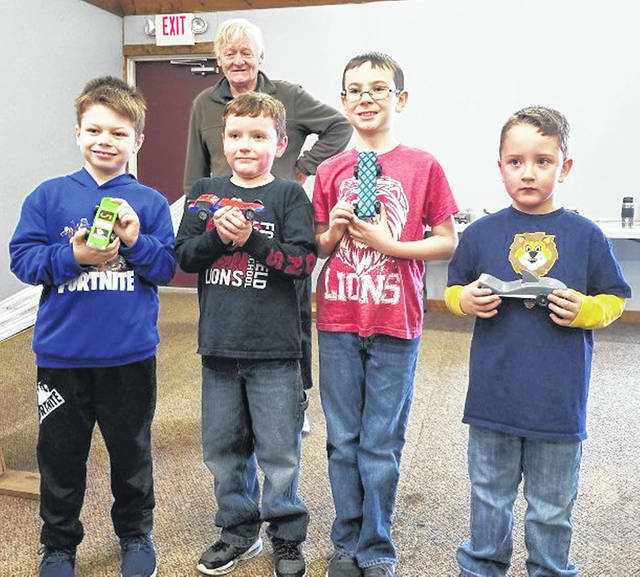 Pictured in this photo, (from left, in front) are Landen Barton, Jasper Stanley, Ethan Estes and Ayden Brown. In back is James Frye. In this photo James Frye is pictured at the derby track with Jasper Stanley and Ayden Brown and Aila Brown are pictured in the foreground.